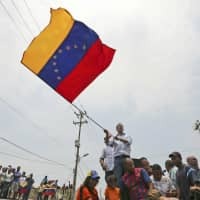 MARACAIBO, VENEZUELA - Venezuelan opposition leader Juan Guaido has met obstacles at nearly every turn since he declared presidential powers in a bid to end socialist President Nicolas Maduro’s rule, and his visit to this once-thriving oil center was no different. Guaido’s first visit to Maracaibo since declaring presidential powers on Jan. 23 comes at a time when he seeks to tap into popular frustration and anger to re-energize his campaign. Some fear he’s leading yet another fatally stalled opposition movement unable to break free from Maduro. Guaido has failed to win a critical mass of the armed forces away from Maduro or bring in international shipments of humanitarian aid. The visit came as pressure on Guaido is only tightening. 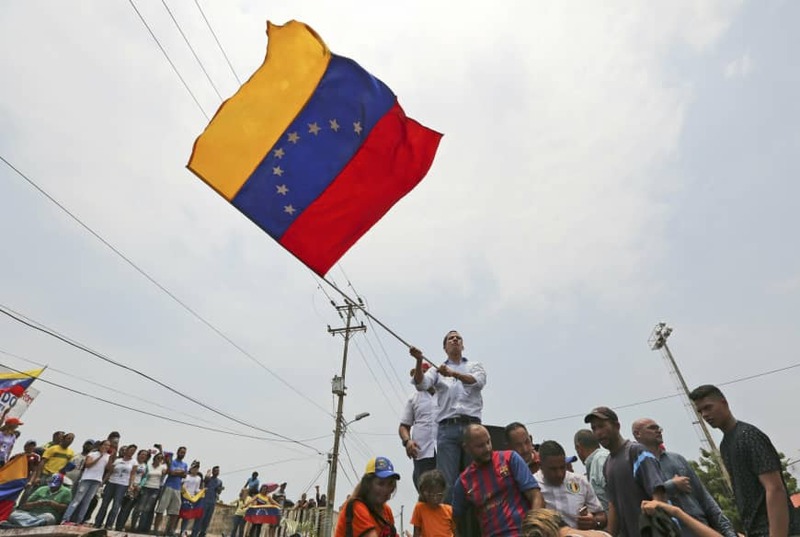 The National Constituent Assembly, stacked with Maduro loyalists, withdrew Guaido’s parliamentary immunity earlier this month, opening the path to prosecute and arrest him for allegedly violating the constitution. Days earlier Guaido’s chief of staff was jailed as an accused terrorist. Guaido said he has urged his international backers to adopt a stance of “zero tolerance” toward Venezuela’s rampant corruption and the mismanagement of its resources. Maduro boasts support from Russia, China and Turkey, but Guaido dismissed that as “more of a show” than having any substance amid Venezuela’s crisis. Guaido refuses to negotiate with Maduro. Guaido spoke at several rallies, urging Venezuelans not to give into Venezuela’s collapsing public services. Rather, he said, they need to keep the protests alive throughout the country, rejecting Maduro’s government. “We’re not going to bend our knees — if that’s what they tell us to do,” Guaido said, as the mass of people cheered in support. “Yes we can!” they shouted.